Seeking out information on your next vehicle purchase is important. 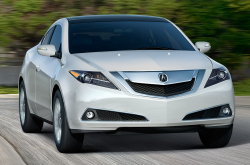 That's why we take the time to create reviews on the Acura Acura ZDX. How did Acura of Peoria manage to gather this information? By speaking to the finest automotive writers in the U.S.. The following article is full to the hilt with important material- it contains everything so that you can make sensible decisions about the Acura you want to buy. Does the ZDX have your name on it? Read more and find out! When considering the 2013 Acura ZDX to the 2013 BMW X6, Audi Q7, Range Rover Evoque, Cadillac SRX and the Lincoln MKT, and you can spot that the ZDX beats out those autos in gobs parts. Browse the hightlights below. Acura ZDX owners won't get the same spectacular factory-trained Acura mechanics and actual Acura parts at a megacorp service company. But at our Phoenix dealership you'll benefit from this each and every day, along with the peace of mind that comes with receiving a 12-month service warranty. If you evade keeping up your ZDX, its physical shape could be jeopardized, so take it to Acura of Peoria's service center in Phoenix. We handle demanding, tricky repairs like shock and strut repair, as well as simple assignments such as common multi-point inspections, in-cabin air filter replacement and a gamut of other special services. From the easy to complete to the complex, Acura of Peoria deals with it all and offers economical prices, awesome service and aces mechanics. Check out our service specials by clicking on the link below.